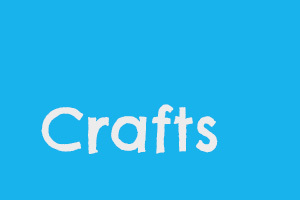 Have you and your wondrous kid gone on an adventure to meet the crafty fox from our Fantastic Family yet? We have a great idea to inspire their imagination as you read about your family’s adventure, it’s a super easy project you can make together! 1. Start with a square piece of paper. If you don’t have origami paper printer paper should work just fine, your wondrous kid might want to colour it in first though! 8. Fold the square in half as shown in the 8th and 9th image above. 11. 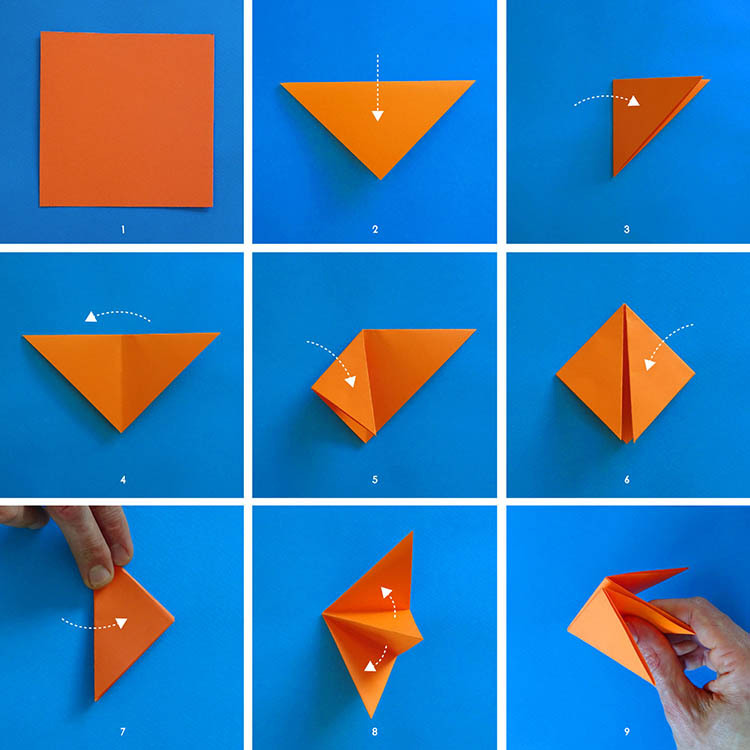 Fold inwards (all layers) as shown on the pictures. 15. 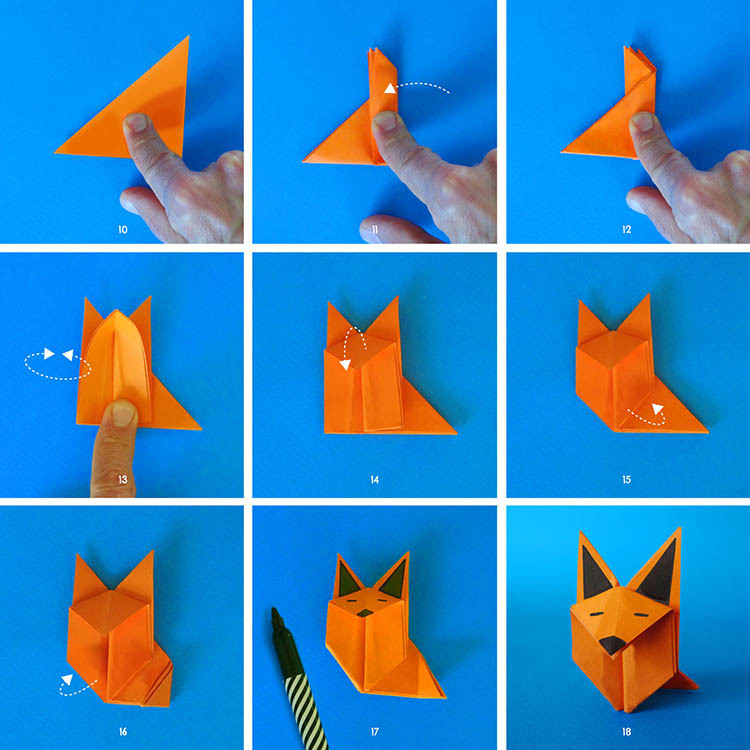 Make the fox legs pointy by folding in the legs (diagonally). 16. You can also fold the tail inwards to make the fox more stable. 17. Draw in the ears and face for your fox.